The 2017 Awkward Object Transportation Challenge celebrated the creativity urbanites apply to get things from place to place without cars. 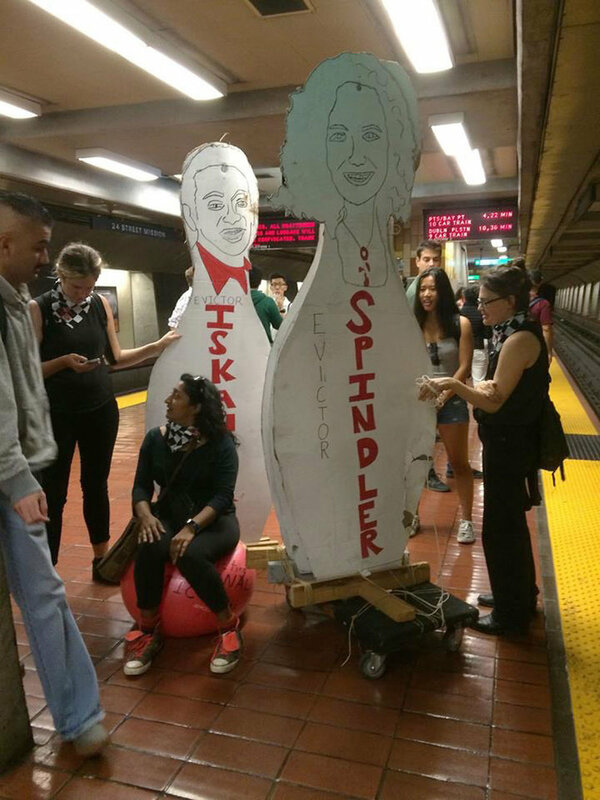 Six teams assembled awkward objects, or collections of objects, in various locations throughout the SF Bay Area. Then, they figured out ways to move those objects to a spot along the edge of Lake Merritt in downtown Oakland. Teams traveled by skateboard, public bus, subway, kayak, and good ol' fashioned feet, and documented their journeys via social media. Once we were all assembled in the park, we had a picnic and celebration amidst a giant sail made of newspapers; an inversion machine on skateboards; a six-foot birthday card in a rowboat; a collection of cardboard protest props; and quite an assortment of fancy outfits. A non-distinguished panel of judges awarded silkscreened fabric pennants and motley prizes based on a variety of criteria including distance traveled, difficulty of moving the object(s), number of modes of transport used, circumnavigation of authorities, and points for style and charm. 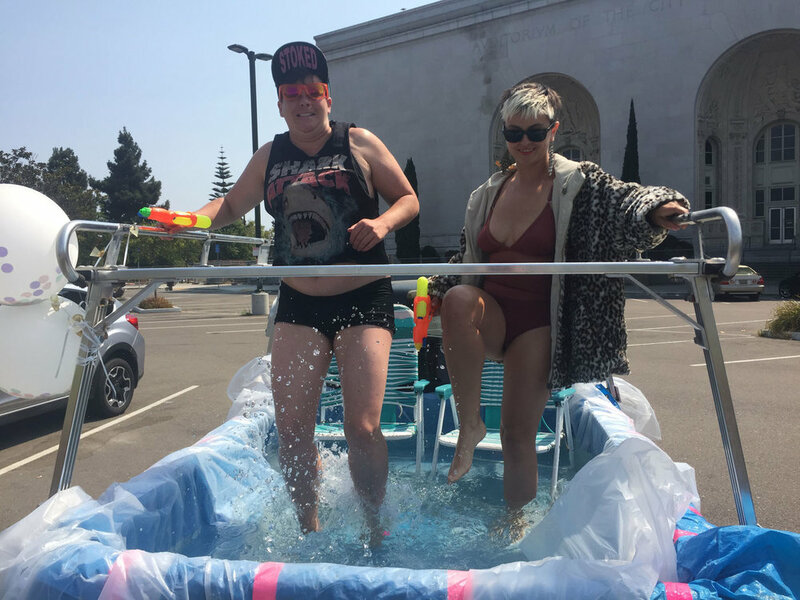 One team was disqualified because they brought their pool party in the back of a pickup truck—however the pool party was still very popular!